The lines between brick-and-mortar retail and e-commerce have been blurred for some time, but today the distinctions are quickly melting away. E-commerce has made it possible to search online for the things we want. People can save themselves a trip to the store, or they can go to the store, browse around, and find what they liked online—and get it for less. Today, we’re entering an entirely new age in how we think, search, and shop. The old way was all about seeing something you liked and then searching for and finding it online. The new way is all about seeing something you like and then buying it instantly—matching what you see with what you can buy, with no middleman. When e-commerce emerged, the primary way that people shopped out-of-store was by browsing catalogs that arrived in the mail. 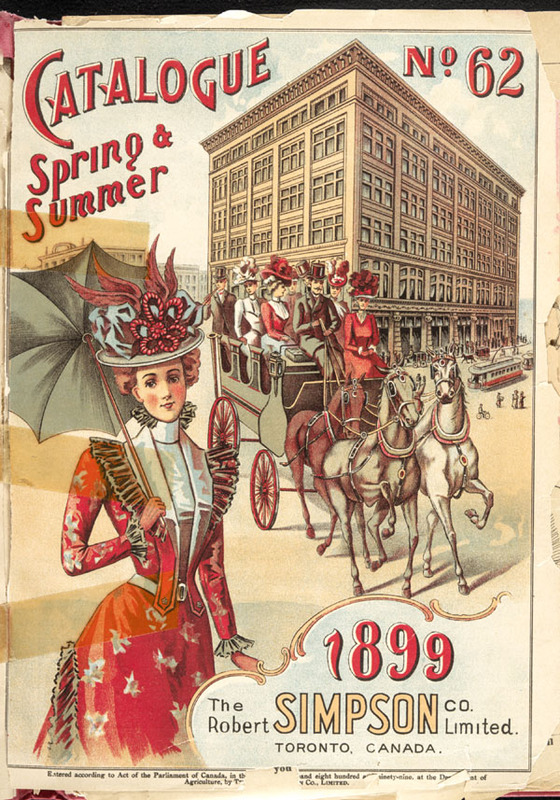 These catalogs showcased inventory and allowed customers to purchase by phone or by post, or, in some cases, provided a view of items available at a local store. You saw an item you liked. You found a mail-in order form. You filled out the order form, indicating what you wanted. You included the required amount of money (check or money order). You sent the order form and then waited two to three weeks, or more. That was the model for digital stores. But digital stores were new and clumsy, and internet speeds were slower than they are now. Just loading all of a catalog’s images over the web and onto your computer took an inordinate amount of time, as anyone who had a dial-up connection can recall, and search functions were rudimentary. Retailers were trying to make online shopping a visual experience, but the technology wasn’t there to support it. That meant that customers still needed to go into a store to see whether an item was what they wanted. Digital stores and e-commerce were functioning more as an addendum to brick-and-mortar stores and as a complement to catalogs. Although there was a glimmer of what was to come, digital retail was in the predevelopment stage. It was slow and unfamiliar to customers. The offerings weren’t great, and almost everyone preferred to visit a store or order from an image-filled catalog. For the average consumer, the experience of shopping online was nothing more than a passing novelty. But when the internet got faster and search capabilities exploded, e-commerce rose to prominence. Somewhere online, you were guaranteed to find almost anything you wanted. You could compare prices without setting foot in a store and could pick out the item you wanted for the lowest price. E-commerce stopped resembling a catalog and started resembling a mall: a plethora of options all in one place. wait a week for shipping or drive to the store for pickup. The online experience gradually began to improve. Searching for items with strings of text developed, so finding those items was easier. Retailers started creating presets and search parameters to assist customers who knew what they were looking for. Stores also tried in earnest to bridge the digital/in-store divide by making things more visual and user-friendly. They used videos of products to better showcase them. Store locators and options to view in-store encouraged customers to visit in person, and free in-store pickup combined the ease of digital shopping with a human connection. Tennis Warehouse added videos, showcasing products better than photos alone. But the site leaned heavily on text descriptions to get customers to the items they were looking for. These advances made e-commerce hugely popular, but they didn’t necessarily rocket-up UX. Aesthetic sensibilities aside, most web stores were still remarkably similar to early web stores. Customers had more access and more choices, but digital retailers hadn’t yet figured out how to make digital shopping intuitive. To infinity and beyond: 2010—20?? Then the internet, and most things on it, finally rounded the bend. Images were as popular as they were ever going to be. One reason for this: Phones got better—way, way better. With that came the boom of behaviors that most people didn’t have to think twice about adopting. Social networks—first Snapchat, then its competitor, Instagram—took the text out of communication and allowed friends to show each other what was going on. YouTube blew up, becoming not just a casual platform for entertaining videos but also an outlet for discussions, news, and community-building. Everyone can now take high-quality photos and videos using a smartphone, and those images can instantly be shared, saved, and sent to other devices. Screenshots abound. People even take photos of analog items in order to clumsily digitize them, or they’ll take photos of other screens to keep or share images on different platforms. This means we’ve taken one big step closer to integrating our digital and analog lives, especially where shopping is concerned. Because now we can cut out the middleman—text search—that separates in-store shopping from online shopping that relies on image search. opt for shipping or in-store pickup. Let’s say you have a photo of a dress saved on your desktop, and you finally need a fancy dress! One small problem: You don’t remember where that dress is from. With Syte, that’s not a problem. You can upload that photo and immediately see images that are similar—or even find that exact dress—in seconds. No more guessing if it’s categorized as pink or beige, no trying to figure out what length it is or whether it’s considered evening wear. With image search, the route from wanting an item to finding that item to purchasing has never been shorter. It isn’t an accident that the web, and our shopping experiences on it, are finally catching up to how we process the world. A lot of pieces had to fall into place, but we’re finally getting our digital lives to fit with how our brains are hardwired. As soon as more options became available, people jumped on them. It remains to be seen what the next wave of tech will do for our consumption—although a VR has some tricks up its sleeve. But it’s easy to see that image search is a dominant factor in e-commerce.